Experience the life of an Australian cowboy, snorkel on the Great Barrier Reef and more—experience Australia firsthand on this remarkable Adventure. 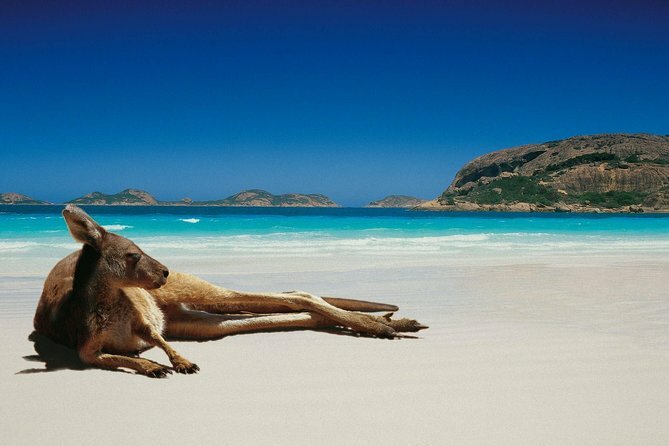 We will give you the opportunity to immerse into Australia’s way of life. You will be in the remote Outback, explore the Great Barrier Reef. Discover the splendidly diverse country of New Zealand. This island nation is known for its stunningly varied range of natural landscapes; you’ll understand why when you cruise through the fjords of Milford Sound or ascend the peaks of the Southern Alps. Amid these spectacular untamed settings, you’ll get a taste of the welcoming Kiwi culture. Drive from Alice Springs to Uluru while traveling through this country see some of the prettiest landscapes on earth. Some people say it's just a rock in the desert. However, what a rock! Uluru burns red. This rock has been reported to hold great power, and the local Aboriginal tribes believe that as well. Get up close, and it's hard to comprehend; stark walls rise almost 1,000 feet from the blazing ground, hidden caves reveal ancient rock paintings, and it takes over 30 minutes to drive around the base. Take a step back as the sun begins to set. Uluru glows a multitude of reds and oranges before a shadow sweeps over this spiritual masterpiece. Even though it's a three-hour plane ride to get here, Uluru isn't just any rock, and within a few minutes, you'll appreciate why it must be in your itinerary. Kuranda Rainforest Adventure (CKB) + Gold Class start your day with a journey to Kuranda on the breathtaking Skyrail Rainforest Cableway. Gliding silently just meters above the rainforest canopy in a six-person gondola Cabins, immersing you into an intimate rainforest experience. After enjoying free time strolling through Kuranda village and the Butterfly Sanctuary along with a little indulgence in the alternative lifestyle that Kuranda provides you will transfer to Rainforestation Nature Park. There you can join a guided tour and see crocodiles, wombats, snakes, dingoes, the cassowary and hand feed kangaroos, and wallabies. Reef Experience, Cairns’ only ALL inclusive Great Barrier Reef Cruise with FREE scuba dive. Two primary Outer Great Barrier Reef locations are visited daily for optimal diving and snorkeling. A luxury high-speed catamaran gets you to the Reef fast, and this tour guarantees the most time at each beautiful, excellent barrier reef destination. Cairns, only extensive day tour, ensures no hidden costs! Have a great time and visit one of the natural wonders of the world. A day on the Reef will be one of the most memorable ones in your life.